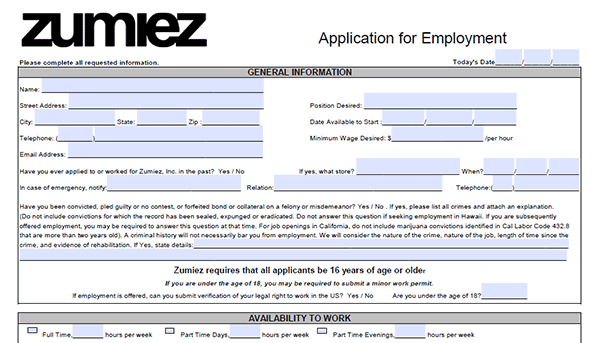 Download the Zumiez job application using the links provided on this page. The application can also be filled out online on the company’s website. Zumiez is a clothing store chain with over 700 locations throughout the United States. Sales, distribution, customer care, and home office positions can all be applied for online. More information regarding the online application process can be viewed in the below section. Step 1 – Click here to go to the main jobs site. 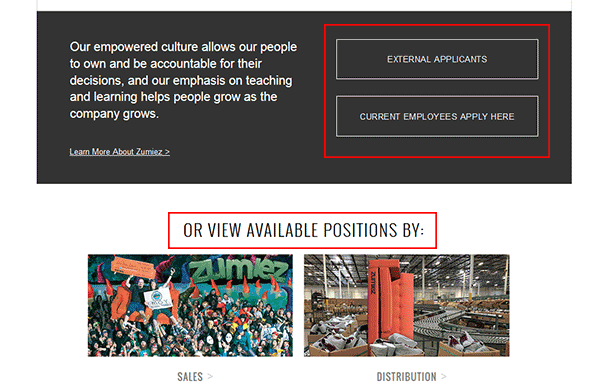 Step 2 – Click the “External Applicants” link, or select the job category you’re interested in applying for. 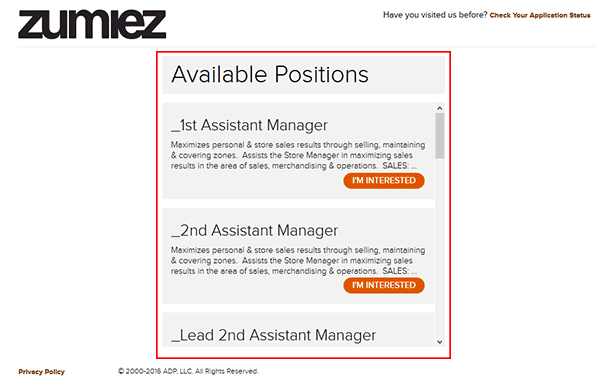 Step 3 – Scroll down the list to view current openings, and click the job you want to apply for (press the “I’m interested” button). 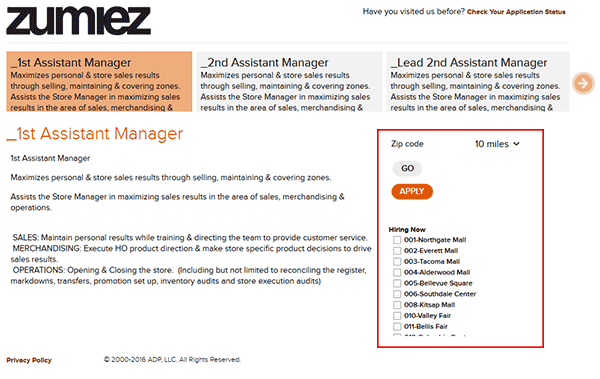 Step 4 – Fill in your zip code, select a search radius, and then click the “Go” button to load locations. Step 5 – Select the locations you want to apply to, and then hit the “Apply” button. 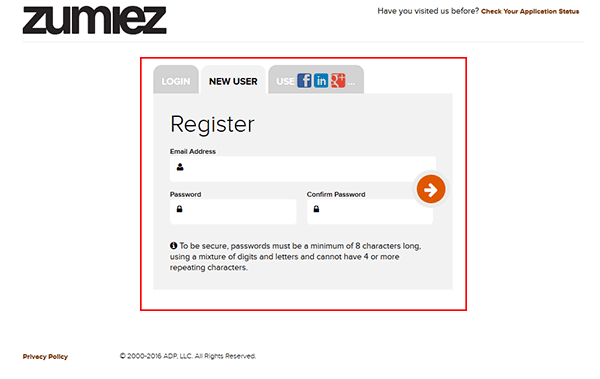 Step 6 – Register a new account by entering your email address and then creating a password. Step 8 – Click the arrow button at the bottom of each section to move on to the next step. Step 9 – Select the “Source” (i.e. where you heard about the job opening). Step 10 – Documents – Upload your resume. 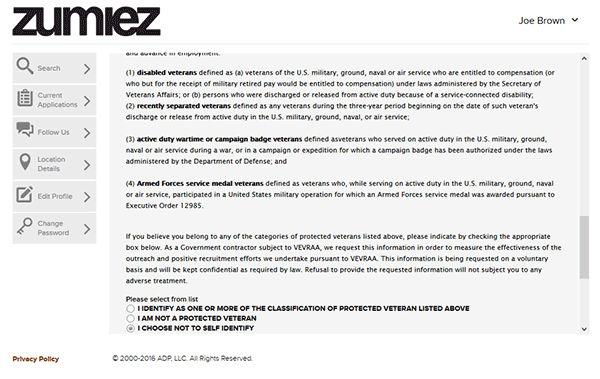 Step 12 – E-Sign – Agree/consent to the terms. Answer all of the required questions. Step 14 – Complete the remaining steps of the application and then submit it for processing. 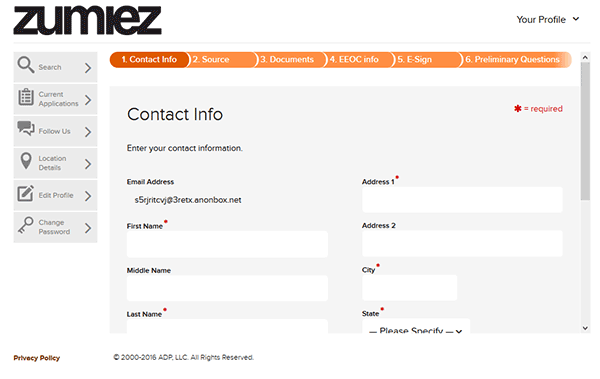 Step 1 – Download the application form (.PDF format) using the link at the top of this page. Fill in your availability information (Monday through Saturday). Step 5 – Complete the remaining sections of the application (work experience, references, etc.) and then sign your name in the appropriate input field.